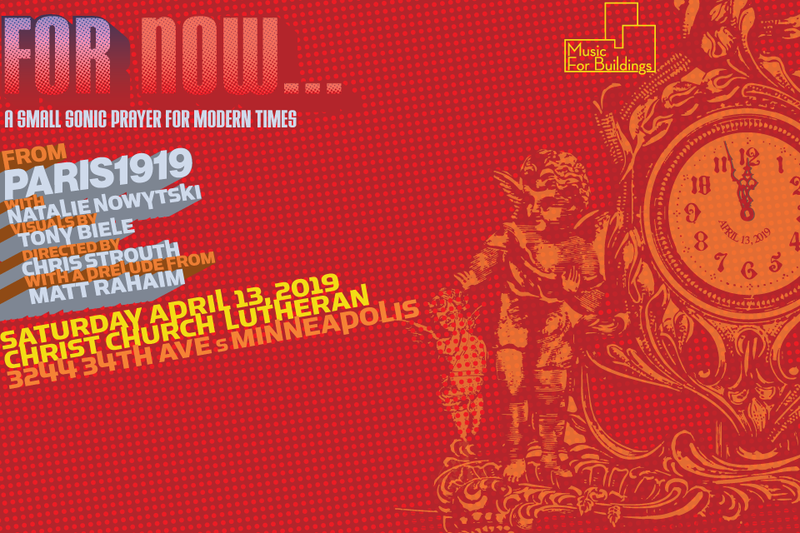 On Saturday, April 13,2019 Chris Strouth’s Paris1919 are doing a performance of “…For Now.” Their critically acclaimed multi-dimensional symphony that first premiered in 2018’s Art-A-Whirl. “… For Now” is about life in the right now, it is about sorrow, it is about loss, it is about fear, its about violence and death, and t is about finding peace and faith in this often freighting world. “…For Now” is performed by Paris1919 featuring: Strouth (conductor, electronics), Randall Davidson, (Cello) Drew Miller, (Bass) Timothy Sean Ritter (electronics), and Mykl Westbrooks (guitar), and master engineer David J. Russ, joined by Michelle Kinney Cellist, and a choir led by master vocalist Natalie Nowytski, projection work from maestro of visual phantasmagoria Tony Biele, With a special opening prelude by Matt Rahaim a Hindustani vocalist and a few others surprises yet to be mentioned. This is a one-of-a-kind performance that mixes music with the visual in one of the most beautiful and inspiring buildings in the Twin Cities. Christ Church is a mid-century masterpiece was designed by Eliel Saarinen, Eero Saarinen and a truly awe inspiring space to be in. This event is all ages, and free of charge, though donations are accepted and appreciated! 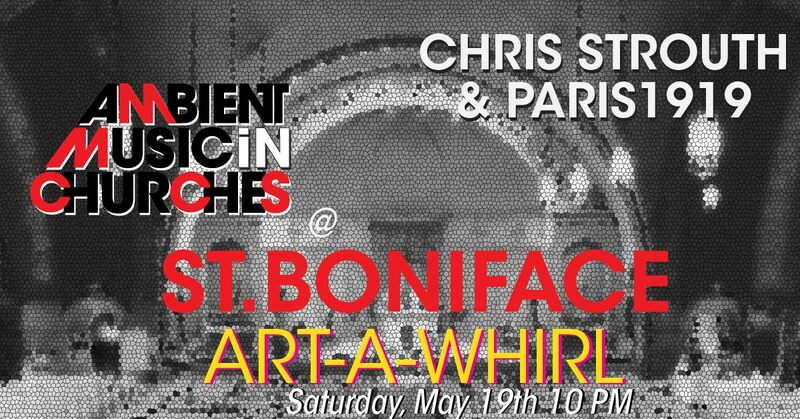 The first in a series of concerts of “Ambient Music in Churches” in the Twin Cites, the first one takes place on Saturday May 19, @ 10 PM During Art- A-Whirl at St. Boniface Church in Nordeast Minneapolis. it will be a premier of a new work by Chris Strouth, performed by Paris1919 called “Prayer for Now”. more details will be posted in the coming weeks. UltraModern Started its life as a record label in the early 90’s first through the Twin/Tone Record Group with distribution from ADA, later through Atomic Theory with distribution from Ryko, & finally with New West with distribution from RED. the roster included February,Future Perfect, Mindphaseone, Savage Aural Hotbed, Skip Heller, Stan Ridgway, Ousia, Overblue, Purblind, Vinnie & the Stardüsters, and the Vibro Champs. All of those records have been returned to the artists. UltraModern was reborn in 2013 as a Label with distribution through State51, and serves has the home for most of the work for Chris Strouth, and himself and his groups Paris1919 and Ambient.black. UltraModern is also the catch all production company for Dr. Strouth.